In a season that has seen its share of losses that did not feature the compete level that is needed to win at the NHL level, last night’s defeat was not an addition to that collection. The Kings competed to the tune of 81 shot attempts and 43 shots on goal, a season high on the latter and the second time this season they have cracked the 40-shot mark. Monday’s game was filled with odd-man rushes in both directions. 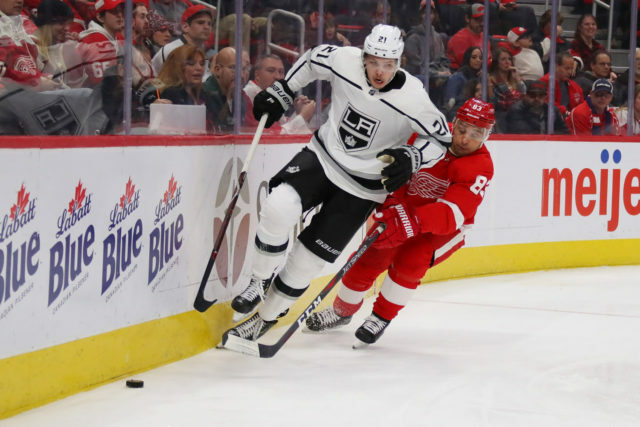 Detroit opened the scoring off of a 3-on-2 in which defenseman Dennis Cholowski hopped into the play and scored from the left wing in the first period, followed by a slew of 2-on-1 and 3-on-2 chances for the Kings that they were unable to convert. Believe it or not, many of these chances were created by playing fast, especially noticeably by the middle six (Carter & Kempe lines). 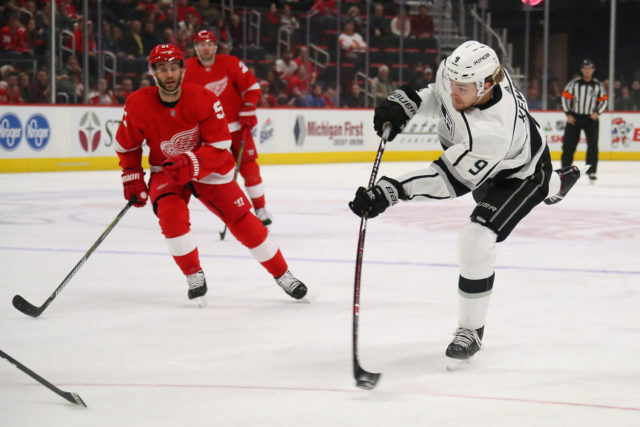 Kempe agreed with the notion that it’s a different game if the Kings are able to bury one of those chances in the second half of the first period, chances that continued into the second. “In the first period, we had a lot of chances and if you get a goal maybe the game goes the other way,” Kempe said following the loss. 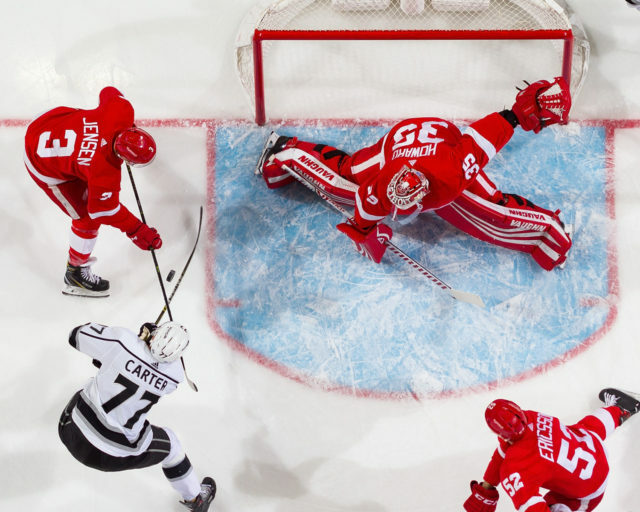 It wasn’t all roses – In the NHL, all that matters at the end of the day is two points and the Kings collected zero. 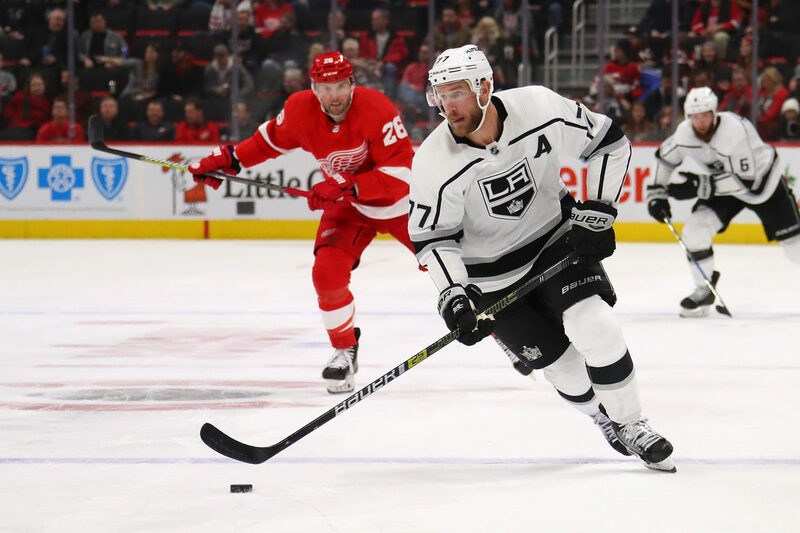 One-off breakdowns went into the back of the Los Angeles net, such as a failure to pick up Frans Nielsen in front on the second goal or a costly defensive zone turnover on goal number three. 3-0 holes, even against a team that had coughed up multi-goal leads in each of the three games prior, are not holes that teams are able to frequently dig out of. The Kings did pick up a third-period goal, as well as a number or “closes and maybes” byut couldn’t pull any closer than the 3-1 final. We now look ahead to Buffalo today and a rematch against a team that won 5-1 at Staples Center during Los Angeles’ early-season six-game skid. The Sabres were coming off of three losses from four games played, resulting in a major shakeup at forward, pairing center Jack Eichel with winger Jeff Skinner. The result at STAPLES Center was a Skinner hat trick on his second, third and fourth tallies of the season, and three helpers for Eichel. The first-year Sabre, Skinner, is now two goals off the NHL lead, tied for fourth with 20 goals. Despite yesterday’s loss, the Kings have put together back-to-back solid efforts, something that at the least represents progress for the league’s 30th ranked team. A measuring stick awaits tonight and the puck drops at 7. Stay tuned for a piece on Alex Iafallo later today on his return home.